Ford followed up their hugely successful S197 Mustang with a completely redesigned platform. 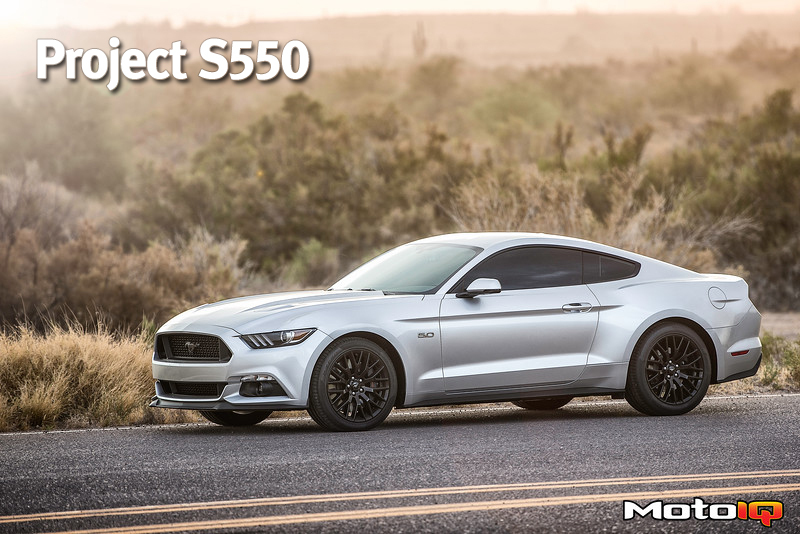 The 2015 model year known to Mustang enthusiasts by its chassis designation S550 is now coveted around the world (even outselling the Porsche 911 in Germany this past March) and boasts two major differences from its predecessor, the S197. While aesthetics are subjective – and always hotly debated – the first, and most obvious, difference is how much sleeker this new model looks. Secondly, it now sports an independent rear suspension, meaning the new Mustang no longer suffers from the live rear axle, which has been widely panned as a critical shortcoming for many years. While always a formidable straight-line drag racer, it has never been considered a great handling car. Those days are now long gone, making the S550 a perfect candidate for a performance-oriented daily driver project. The goal of this project is to build a very respectable street car that is first-and-foremost reliable, while still being able to both hold its own at the local motorsports events and turn a few heads at the local car meet. We’ll address this project in several stages. First, we’ll tackle the suspension in preparation for building more power. Next, we’ll dress it up with some cosmetic improvements. And finally, we’ll look to generate even bigger power numbers. While ultimately our upgrade plans will replace many of these parts, the Brembo brakes, 3.73 gears and larger radiator alone more than make up for the cost of this upgrade. 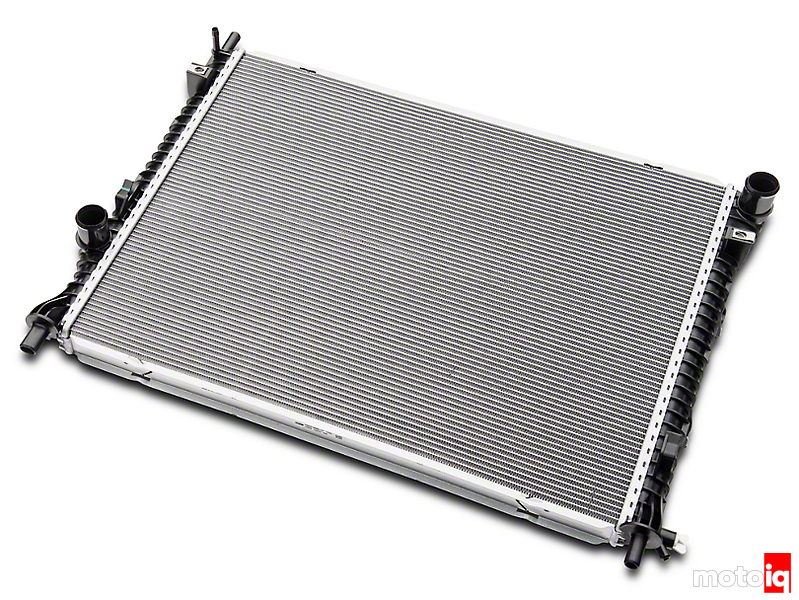 The Performance Package radiator measures in at 1.44” compared to the stock radiator’s 1”. Providing an additional 168 in3 of volume (552 in3 vs. 384 in3.) Given this car will be daily driven in the hot Arizona Summer any additional cooling is welcomed. Many people consider the vacuum gauge a place holder for when boost is added. 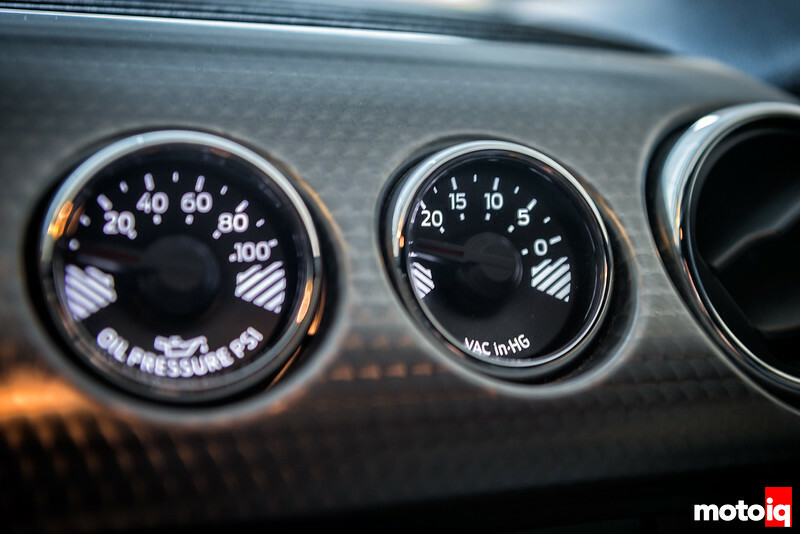 In fact the 2.3L Ecoboost Mustang’s stock boost gauge is a direct replacement, and a popular upgrade for GT owners that have gone the supercharger route. Both of which are upgrades being planned for this project car. 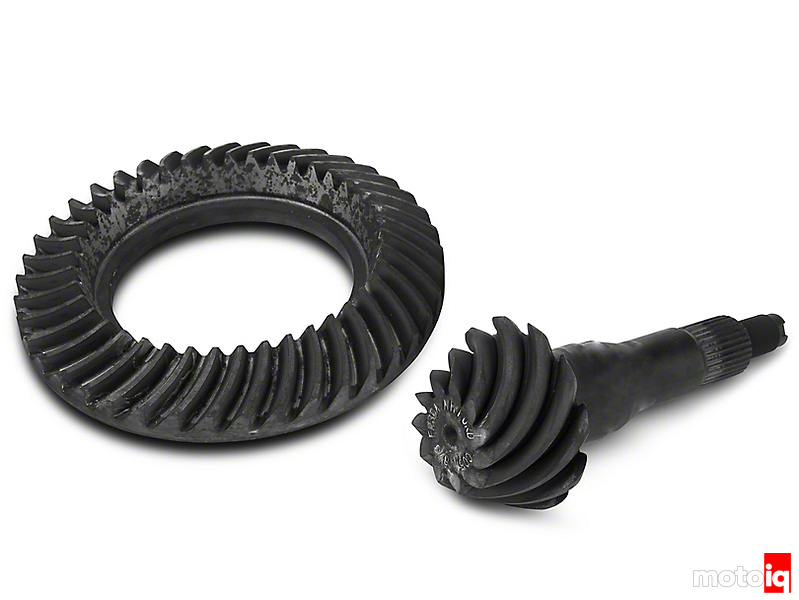 The upgraded 3.73 gears offer better off the line performance and more torque when compared to the Regular GT model’s 3.55 gears. We also feel for this project, the 3.73 gears are in the sweet spot of balancing top speed, mpg, off the line performance and torque. While more drag racing focused builds may opt for a 4.10 or 4.30 gears, both top speed and mpg can suffer with gears this aggressive. Building the Subaru VA WRX clutch and Flywheel with ACT!